New book, 256 pages, with 12 black and white pictures, 223 colour pictures and 7 maps and 40 drawings. For more than four decades, different versions of the classic Dassault Mirage fighter have served as some of the most potent combat aircraft in Latin America. 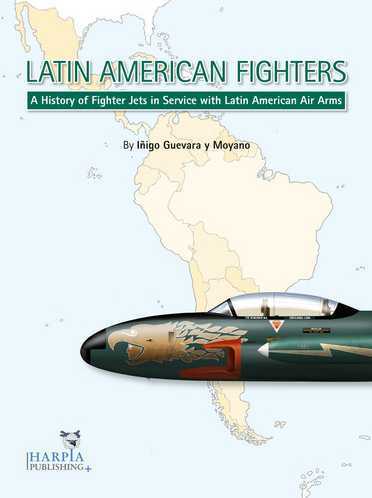 Equipping the air forces of seven South American nations in significant quantities, the delta-winged jets have seen action in various different wars and internal conflicts, and they continue to fulfil their mission with a number of operators. 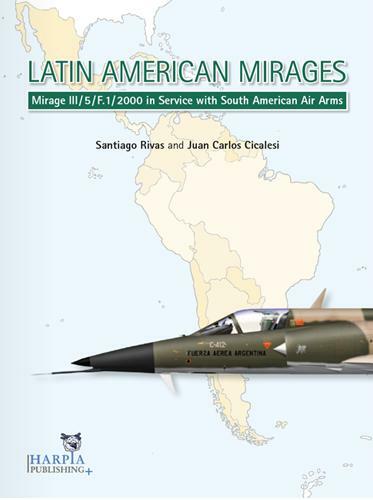 This book tells the story of all the members of the Mirage family in service with Latin American air arms, with individual histories of the air arms and their constituent units that have operated the Dassault designed fighter, as well as its Israeli and South African derivatives. The volume provides a comprehensive collection of colour photographs and profile artworks that cover all the variants, plus maps, and tables that illustrate the individual stories of all the aircraft, their units and their various weapons.